As a Moroccan expatriate in the UK for over half century, and with dissatisfactions with many banks in Morocco, I finally came across the efficient Bank, with knowledgeable, courteous staff in both London and the little new Tangier "mesnana" branches. 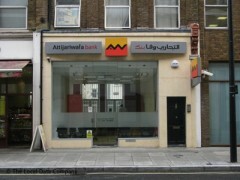 Attijaria Bank practices are not the best in the World, but luckily the best in Morocco, "keep improving!!!" after the fusion of two of the biggest banks in Morocco (Attijari and Wafa) to become Attijariwafa, the bank has moved to the standard of the biggest financial institutions in the world. their customer service is second to none in Morocco and I hope that they carry on at the same level in their adventure overseas.